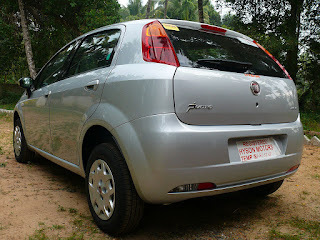 Fiat Grande Punto is the world wide successor to the Fiat Uno. Punto was launched in 1993. The current version of the Fiat Punto (called as Grande Punto) was unveiled at the Frankfurt Motor Show in 2005. The Grande Punto was styled by Giorgetto Giugiaro. This car is based on the SCCS platform developed jointly by Fiat and GM in 2002. 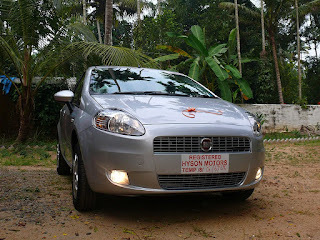 Fiat Punto - and its Sedan version, Fiat Linea - were premiered at the Auto Expo at Delhi in January 2008. 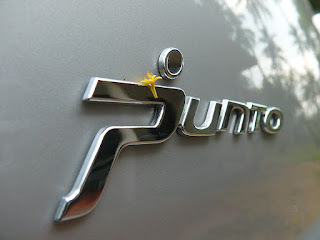 The Punto was finally launched in June 2009. 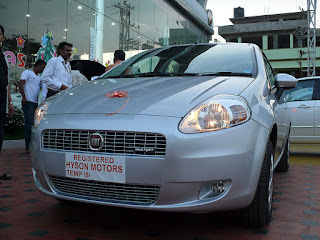 Both the offerings from Fiat are manufactured at the Tata-Fiat Joint venture at Ranjangaon, near Pune. The Grande Punto is offered in India in four major variants - Active, Dynamic, Emotion and Emotion Pack. There are two fuel options - Petrol and Diesel. The Petrol versions are powered either by the 1.2 litre FIRE engine or the 1.4 litre FIRE engine. The Diesel version is powered by the now famous 1.3 litre Multijet engine. 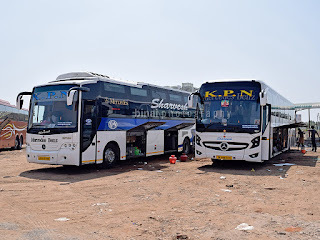 This diesel engine is currently used by Maruti Suzuki for the Swift, Swift Dzire and Ritz, while TATA uses this engine for their Indica Vista and Indigo Manza. Reputed for high fuel efficiency, this engine is dubbed as the National Engine by auto enthusiasts. Finalising the Punto was not an easy task - the car was initially out-of-race due to the bad reputation TATA dealers have build up in the country. However, we decided to give the car a chance - honestly, we never planned to even buy it. We first checked the car at Concorde Motors at Dairy Circle, Bangalore. The car swept us off our feet by its looks. We were interested in a test drive - but, Alas! There was no salesman to even attend us! We were completely dejected by the dealer attitude, and the car was once again out of race. The next time, we tried a dealer in Kerala - RF Motors, Kochi. 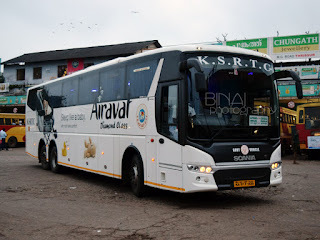 This experience was pleasant - a test drive was offered immediately (on a Sunday!) and we finalised the car at the showroom itself. The variant was decided on the basis of stock availability - of the colour of our choice. We chose Minimal Grey (Silver) and the Emotion variant of this colour was available. The executive now gave a block - we had to handle the registration ourself. 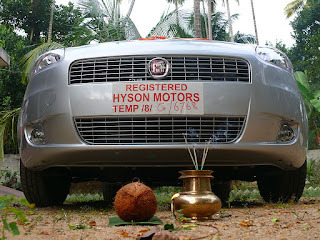 This made us consider Hyson Motors at Kodungallur. This guy too had the car ready in stock, and was ready to deliver the car in 24 hours! The car being delivered... at Hyson Motors, Thrissur. The dealer was finalised. Me and my dad made a visit to their stockyard to check if the car was allright. 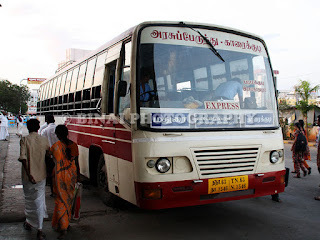 Once we gave a go ahead, complete payment was made and the car was taken to the RTO for temporary registration. Finally, the beauty was delivered on Wednesday. This was perhaps the quickest car purchase we ever made. Our earlier purchases took anywhere between one to two months. Congratulations on your new car Binai! Looks great. Have fun and a wonderful new year!